This week has been another up and down week for me. The beginning of the week was particularly difficult when my already severe pain levels increased further but thankfully they’ve settled a bit since. I’ve had a useful medical appointment this week that is hopefully going to finally lead on to me getting help with the pain. I’m also due to have another MRI scan tomorrow to check that there is nothing else going on in my spine that could be aggravating my pain. I’m still only managing to concentrate for small periods of time so I’m not getting to read as much as I’d like. I’m grateful to be able to read even a little though and am hoping it will get easier in time. I did manage to finish some books this week that I’ve been reading for a few weeks so I was pleased about that. It’s been a good week where my blog is concerned though. Thanks to my new scheduling pattern, I had enough posts set up ready to go so that my blog kept going as planned even when I wasn’t around much. It gives me real satisfaction to keep my blog running, even during the tough times so I was really glad that I’d worked out scheduling before this rough patch. I really enjoyed reading this book, it was one of those reads that is really hard to put down once you’ve started reading it. It was different to anything else I’ve read recently and kept me guessing all the way through. I’m on the blog tour for this book today and so look out for my interview with Siobhan MacDonald. Wonder Cruise is such a lovely novel, I found that I wanted to read it slowly to savour it and I really didn’t want it to end. I hope to get my review up this week. I’ll definitely be looking out for more of Ursula Bloom’s novels in the future. This book is such a gorgeous read, I absolutely loved it! It had such depth to it and yet was never heavy-going. I hope to have my review of this up on my blog this week. This is a novella released for World Book Day and my first ever Rainbow Rowell book! I loved it, it’s such an adorable read! This is the only book I managed to read from start to finish in the course of this week. This is a fascinating read about a young woman who runs away from her family to escape an arranged marriage, but that is only the beginning of what happened to Jasvinder. This is ultimately an inspiring read and I recommend it. I hope to have my review ready to post very soon. Re-blog from Laura at 125Pages where I wrote a guest post for her about how I approach blogging. 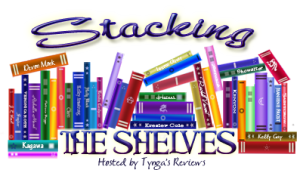 My usual WWW Wednesday Post, Stacking the Shelves Post and Weekly Wrap-Up Post. Plus more reviews and an author Q&A/guest post. This book has got better as it’s gone along and I’m quite enjoying it now. It’s so frustrating that I can only read in short bursts at the moment because this is a book I would have devoured normally. It’s a brilliant novel though and I highly recommend it. When I’m not able to read I’m thinking about this book and wishing I could get back to it. I’ve only managed to read the first few chapters of this due to my lack of concentration but I’ve loved what I’ve read and I’m so looking forward to reading more. They writing is so beautiful and every single page feels like a treat. I was thrilled to receive a copy of this book last week and have been saving it until I could read it in big chunks but I’ve had a tough couple of days so I decided to start reading this as I figured I deserved a treat. It is so good, I’m very much enjoying it. This book is really good, it’s a bit different to anything else I’ve read in a while and I’m finding it very hard to put down. I couldn’t resist starting this book at the weekend! I’ve only read the first few chapters so far as I’m still not able to read very much in one go at the moment but it’s very good. I’m still really enjoying this book, it’s one of those books that gives me such a lift every time I read some of it. I’ve read a little bit more of this since last week and it’s a got a bit better so I’m going to keep reading. This is a fascinating book. It’s due to be published tomorrow so look out for it. I’ve only read the first third so far but I’d definitely recommend it. I really enjoyed this book. I posted my review yesterday so you can read it here if you’d like to. I loved this book so much, it’s a definite 5 star read for me. I’m part way through writing my review now so I should have it up on my blog very soon. Get lost in Victoria Walters’ immensely touching debut novel, and discover a world that will capture your imagination and heart. This is the first Rainbow Rowell book that I’ve read and I really enjoyed it, it’s a sweet story. I do have a couple of Rainbow’s novels on my TBR and I’m more keen than ever to read them now. I’ve been excited to read this since before it was released and ever since I received a review copy I’ve been so keen to pick it up. I really hope to read it this week if I can, especially as I’m featuring Heidi Perks on my blog very soon. Teenager Abigail Ryder is devastated when she gets home from school to find her family gone. Nothing makes sense. Things are missing from the house and her stepsistersʼ room is completely empty. But the police think sheʼs trouble, and when grandmother Eleanor tells her to forget them all and move on, thereʼs no choice other than face the future – alone. I love Marcie Steele’s writing so I can’t wait to read her latest novel. I’m in need of another feel-good read at the moment and I feel sure this will fit the bill! All Riley Flynn wants is to meet someone who makes her happy. But attracting the right kind of man is not easy, and with her heart still hurting from her last break-up, Riley believes she’ll never find love again. A year ago, Sadie Stewart’s whole world was shattered when her husband, Ross, died. She has struggled to keep herself together for the sake of their young daughter, but with the anniversary of his death approaching, Sadie finds herself overwhelmed by grief. Sadie and Riley work at Chandlers shoe shop, in the charming town of Hedworth. But when Chandlers is threatened with closure, the friends are confronted with the loss of not only their jobs, but also their support network – the glue that holds them together when they are close to breaking. I still haven’t figured out how to challenge myself to read my best books in a way that I can track my progress on my blog (see this post here to find out what I mean about best books) but I’m going to make a start on reading some of my own books by adding one or two into my selected reads each week. I’m a fan of Ian McEwan and have had this book on my TBR since it first came out, I’ve been wanting to read it but haven’t found the right time so I’ve decided to just get on with it! Your husband goes out to buy a newspaper. He never comes back. Months later, an unexpected phone call puts you and your daughter in unimaginable danger. Even if he were still alive, your husband can’t save you now. He told you way too many lies for that. I was thrilled to receive a copy of In Too Deep via The Book Club. I have read a couple of Samantha Hayes books in the past and really enjoyed them so I was very much looking forward to starting this one. From the first pages of this novel I was completely hooked. In the opening chapter a man and a woman argue, one pushes the other and it appears that the one who fell is dead. From this point on this book is near impossible to put down! The premise of In Too Deep is great, the idea of someone’s husband going out for a newspaper one morning and never coming back is immediately intriguing. I was suspicious about most of the characters in this book at one point or another as none of them seem to be completely honest and you don’t know who is keeping the biggest secrets. I wondered how much I could trust Gina and what she was saying about her relationship with her husband because as the book goes on we find out snippets about their relationship that don’t quite tally with what she says. Their daughter Hannah has secrets of her own that she seems determined not to share with anyone, and because her mum is so wrapped up in her dad’s disappearance she doesn’t really notice what’s going on in Hannah’s life. Susan was an intriguing character too but because we don’t know anything about her to begin with it wasn’t easy to weigh her up for a good while. Rick’s disappearance was the second trauma to befall this family. A few years earlier their son Jacob had been killed in a hit and run, and the driver was never found. This increases the mystery of this novel as it adds another level of intrigue to the twists and turns within the story. I read a lot of psychological thrillers, and I’m finding it increasingly easy to work out what is going on but I have to say that with this book even as I reached the halfway point I still hadn’t worked it out and I loved that! Any thriller that can keep me in the dark for that long is a winner in my opinion. Once I passed the halfway point I did start being able to piece things together and my suspicions about certain characters, and what might really be going on began to grow. I couldn’t read this book fast enough to find out if my suspicions were correct. I thought the ending of this book was brilliant; it fitted the story perfectly and allowed the characters to remain true to who they had been throughout the whole book and I appreciated that. In Too Deep is fast-paced, unpredictable and utterly thrilling! I rated this book 4.5 out of 5 and highly recommend it. I received a copy of this book from Net Galley via THE Book Club in exchange for an honest review. In Too Deep is due to be published by Random House on 5th May. I’ve not had the best week in terms of my health, I’m still struggling to find the balance between controlling pain but not ending up feeling out of it on painkillers. The result at the moment is that I’m feeling quite awful all of the time, so my reading is suffering as I can’t concentrate on books for more than around ten minutes at a time. I’ve had a good week in terms of blogging though. It’s made such a huge difference to me having my dictation software, I’m dictating just about everything now (even tweets & Facebook updates) so it’s great. Finally working out how to schedule posts in advance, and also how to schedule links to my blog posts to go out on social media using an app, has been a revelation. I’m managing my time better now and it’s been great this week that I’ve had posts up every day on my blog as it was all scheduled in advance during the short periods when I’ve felt a little better. This is actually a play script but it was easy enough to read as it’s predominantly got just the two characters throughout. This a fictional conversation between Alice (who Alice in Wonderland was based on) and Peter (who Peter Pan was based on) and it’s fascinating. I bought this book a while ago but wish I’d read it sooner now as it was brilliant. I plan to review this on my blog quite soon. I finished reading this very late on Friday night and so haven’t managed to review it yet but I will be doing very soon. I really enjoyed this book, it kept me hooked all the way through it. Monday: Q&A with Kayte Nunn (author of Rose’s Vintage) PLUS an international giveaway! I treated myself to this book last week and couldn’t resist starting it the other day. 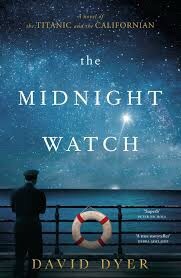 It’s about the Titanic disaster but focuses on the Californian – the ship who was near enough to potentially help but they didn’t react. It’s a novel but has been very heavily researched. I’ve only read the first few chapters so far but it’s very good. I’m very much enjoying this book, it’s brilliant. The only reason for me not finishing it sooner is due to me not being able to read much this week. I hope to read more of it very soon. I’ve read the first third of this book but I’m not feeling very motivated to pick it back up, it just isn’t grabbing me at all. This is non-fiction and whilst I know it’s probably going to be quite a tough read later on, at the moment it’s fascinating reading about the family dynamics and how they all got on before the problems started. This book is wonderful. It was written in the 1930s and is about a spinster, Ann, who always listens to what her brother tells her and lives a very sheltered existence. Then one day she comes into a sum of money and on a whim books a cruise! I’ve only read the first few chapters but it’s such an enjoyable read and I’m looking forward to reading more when I feel better. If you want to know more about this book, I wrote a post about it on my blog yesterday – you can read that here. I only started reading this late last night so have only read a couple of chapters so far but I really want to read more of it as soon as I can. I’m on the blog tour for this book on Sunday so look out for my post then. Please forgive any formatting errors in my post this week, my home wifi is playing up and web pages keep either failing to load or partially loading so it’s quite hard to get a post ready. On top of that WordPress hasn’t been working too well for me this week either. I was thrilled to get the chance to read this book through THE Book Club recently. I’m about halfway through the book at the moment and finding it really hard to put down, and so far I still haven’t worked out what is going on (which is great, I love being kept guessing until the end!). I knew I was going to enjoy this novel, but I didn’t expect it to get to me in the way that it is doing. This novel has made me laugh and it’s made me cry; it’s so good! I want to know how things will turn out for everyone but I also don’t want the book to end as I’m enjoying it so much! When Emma leaves her Cornish hometown of Talting for a summer in Devon, the last thing she dreams of is falling in love. But sometimes the people who affect us the most come along when we least expect it. As the summer comes to the end, will it herald the start of something that could last for ever? I haven’t been well this week so have only managed to read a few chapters of this so far but it is utterly wonderful. It’s been quite a long time since I read a book set in the 1930s and I’m just absolutely adoring it, it’s so refreshing. I’m willing Ann on to break free of Cuthbert and to experience some of what life has to offer her. This is another boak that I’ve only managed to read the first few chapters of this week, due to not being well again. It’s quite apparent already though that this is going to be a fascinating read and I’m keen to get back to it to read more. If I’m going to be completely honest I have to say that I am struggling to read this one. It’s had so much hype and so many people have loved but I’m really struggling to read it. I don’t mind reading books where I don’t like any of the main characters but I do find it really difficult when they don’t feel rounded out enough for me to get a feel for who they are. I’m going to persevere with this little bit longer because it’s a review book and I have only read about a third of it so far so I’m going to give it a bit longer and maybe my opinion will change. Due to my not being well this week, I’ve not managed to read any more of this book at all. It’s such a fascinating read and I really do want to finish it but I’m thinking of maybe putting it to one side for a while until I’m feeling more able to read it in bigger chunks and to take in better what I’m reading. I loved this novel, it was an incredible read. I’ve already reviewed it, you can read my review on the link above. This was a new short story in the Meet Cute series and it’s no secret that I’ve adored all of them so far. This was a lovely addition to the series, I’ll have my review up very soon. This was another new Meet Cute short story, which was released last week, and I think this one is going to have to be placed joint favourite with The Boy at the Beach as I completely and utterly adored it! I’m part way through writing my review now so that will be up on my blog soon. This was an absolutely fascinating book. It’s a short read, and is actually a script for a play but it’s easy to read as it just focuses on the two characters. It’s an imagined conversation that is taking place between the real Alice (who Alice in Wonderland was based on) and the real Peter (who Peter Pan was based on). There is so much packed into this short script that really makes you think, it’s truly brilliant. I’m working on my review at the moment so should have that ready to post on my blog soon. I was offered the chance to review this book and when I read the synopsis there was no way I could refuse, it sounds so intriguing! I was also offered a place on the blog tour, which I accepted to I will have a Q&A with the author and, all-being-well, my review of the book on 24th April so please look out for that. It made my week when I was offered a review copy of this book at the end of last week! I’ve been wanting to read this since I first heard about it and can’t wait to start reading. I’ve loved all of Chris Cleave’s previous novels so have very high hopes for this one! I recently read a review of this on a blog I follow and immediately pre-ordered a copy! I’m drawn to novels about the Titanic but this is from a different perspective so sounds fascinating. I really want to start reading it right away but I need to finish up some review books first and then I’ll be straight on to this! I added this book to my wish list quite recently after reading Cleopatra Loves Books fab review of it; I knew it was a book I’d have to read as it sounded so good! Anyway, I happened to notice it was on offer for Kindle this week and so I treated myself, I hope to read it very soon! I’m still reading quite a lot of non-fiction and so when I read a great review of this on Postcard Reviews, I bought it straight away. It sounds like a very interesting read. This book popped up on my Amazon recommendations recently and so as it was on offer I decided to give it a go. It sounds like a really good read so hopefully I’ll enjoy it. This is a book I’ve been looking forward to for a while but had forgotten I’d pre-ordered it so it was a nice surprise when it appeared on my Kindle this week. Another new book I treated myself to when I spotted it in a deal on Kindle this week. This book is free on Kindle Unlimited at the moment so I couldn’t resist downloading it, it sounds like a good read. I was thrilled to win a giveaway on Goodreads for a copy of The Perfect Girl by Gilly MacMillan. The email telling me I’d won a copy ended up in my spam folder so I had no idea I’d won this until the book arrived through my letterbox this week. I can’t wait to start reading this – I loved Gilly’s previous novel Burnt Paper Sky so have very high hopes for this! I was offered the chance to read and review this book for the publisher, Impress Books, a little while ago and I jumped at the chance! It was exciting to receive a beautiful proof copy of the book along with a really nice postcard and lovely note from the author, Annabel Abbs. I’m very much looking forward to reading this novel, I’m sure I’m going to love it. I recently took part in the cover reveal for The Joyce Girl and so you can read more about the book in this post if you’d like to. I’ve loved the previous Samantha Hayes books that I’ve read so I was excited to receive a review copy of her new novel. It’s due to be released in May so I’ll definitely be reading and reviewing it before then. The above four books were all offered to me for review and I jumped at the chance as they all sound like really good reads. I was thrilled that all four authors also agreed to being interviewed by me for my blog so these interviews will be coming soon – please look out for them.